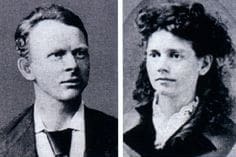 The movement we know today as Unity was founded in the early 1890s by Myrtle and Charles Fillmore. It was never meant to be a separate church or religious denomination, but as a spiritual movement within religions, dedicated to supporting people of all faiths apply positive spiritual principles to better their lives. Within two years, Myrtle was well. She lived for 45 more years, healthy and vital, making her transition at age 86. 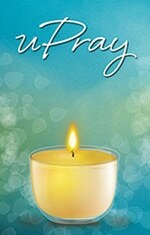 As a result of her healing, Unity focuses on the power of prayer and the power of our thoughts to create our own reality. Charles had always been a curious sort, reading classical authors such as Shakespeare, Tennyson, Emerson and Lowell as a very young man. He also immersed himself with in-depth study of world religions and philosophies, and material linking religion and science. Today, quantum physics scientists are discovering this link, finding – and proving – the indisputable connection between the power of the human mind and it’s effect on the body. Charles and Myrtle began writing about their beliefs, and shortly thereafter, Unity was born. The Unity Movement was started in 1889 with the publishing of Modern Thought, a national monthly magazine devoted to spiritual questions (published today as Unity Magazine). Wee Wisdom, a monthly magazine for children, offering daily uplifting and self-affirming messages, followed in 1893. In 1894, Lessons In Truth, by H. Emilie Cady, was the first Unity book to be published. Over the years, Lessons In Truth has been translated into 11 languages, including Braille, and has sold millions of copies. It is still in use today as one of the major study guides for Unity. Using their publications, Myrtle and Charles were able to inform people about the Society of Silent Help, later renamed Silent Unity. For more 125 years, people of all faiths, traditions and backgrounds have been calling Silent Unity (1-800-NOW-PRAY) with their prayer requests. Each request is held in constant silent prayer 24 hours a day, 7 days a week, for 30 days. In 1903, The Unity Society of Practical Christianity became the first Unity Center. As the publishing business grew, The Unity School of Christianity was formed to handle the Fillmores’ publishing and educational work.